New York City’s largest source of verified home listings. If you’ve ever searched online for an apartment, you already know that real estate search sites are not created equal—particularly not in New York City. On the rental side, frustrations include plenty of high-end apartments in luxury buildings but scarce inventory for more affordable options, hefty broker fees, dismal photos, and the dreaded bait-and-switch. Both renters and buyers are faced with the possibility of dealing with an agent who is more interested in closing a deal than serving a client. In just short 8 months Igluu already lists about 30,000 apartments for rent and 18,000 properties for sale, the majority in Manhattan, Queens, Brooklyn and Jersey city—outpacing the competition by thousands in part because Igluu doesn’t charge brokers and independent owners to list their properties. Listings come exclusively from multiple NYC listing feeds--including REBNY’s newly-launched Residential Listing Service, List Hub, OLR, Realty MX RealPlus and Nestio—and are updated every four hours to ensure the most current, accurate information. Moreover, unlike many other search sites, Igluu always directs you to the listing source of a post — the broker, management company, or independent owner — rather than a random agent who paid to put their name next to a listing. 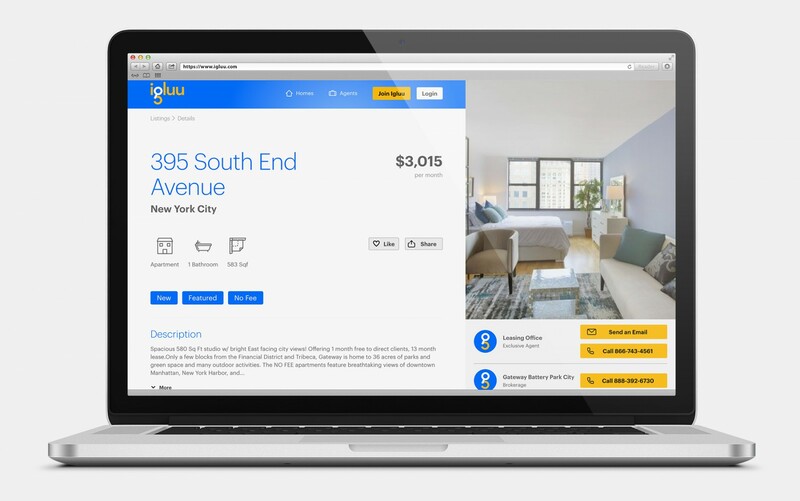 Igluu is also one of the few real estate search platforms to fully vet listing results that do not include pictures or descriptions, giving you another well of legitimate possibilities. (Other sites will list these, but without the same quality control.) That said, listings with photos and descriptions are prioritized in results to provide you with the best search experience, and you can even filter search to include only listings with photos. Igluu takes refining search to the next level, with filtering options that range from the standard (price, borough, neighborhood, etc.) to more precise, such as no-fee, wheelchair accessibility, proximity to specific train lines, and geolocation — apartments and open houses near you. 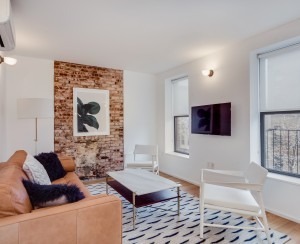 You can also take advantage of Igluu’s “Insider Deals,” which offer $200 off the first month’s rent, or “Brokerage Incentive” listings, which include a $250 discount on the broker’s fee. 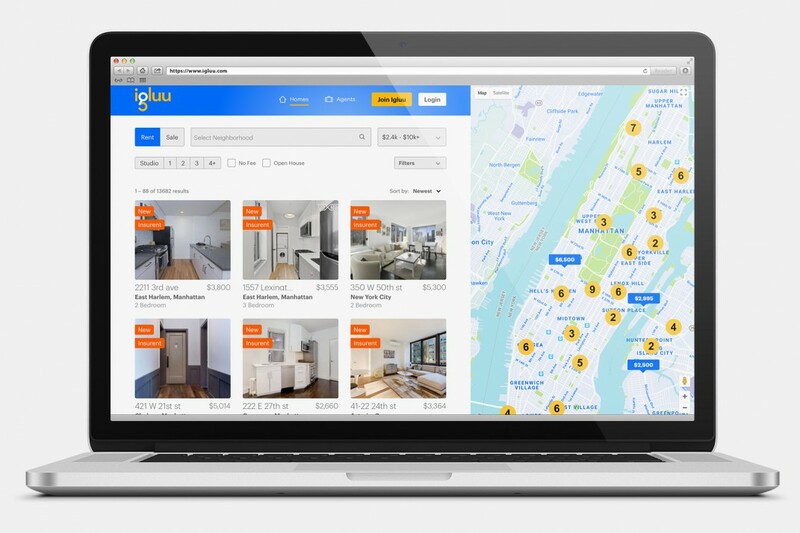 As more landlords and brokerages are participating Igluu will soon be able to offer the best pricing on rentals in NYC. Igluu will soon introduce a new spam filter that will help users identify listings that are old or inaccurate. For example, a broker may post old inventory to generate your interest, and then offer you a different place to live. 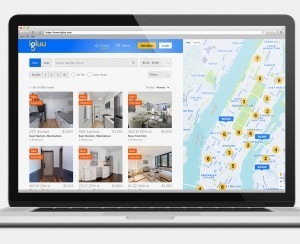 Igluu goes beyond helping New Yorkers find the perfect place to rent or buy. The site has also partnered with several services that help solve common NYC real estate dilemmas. For extra convenience, all of Igluu’s listings can be filtered to include any of these partners’ services exclusively. Another financial hurdle renters often face is that of a hefty deposit. 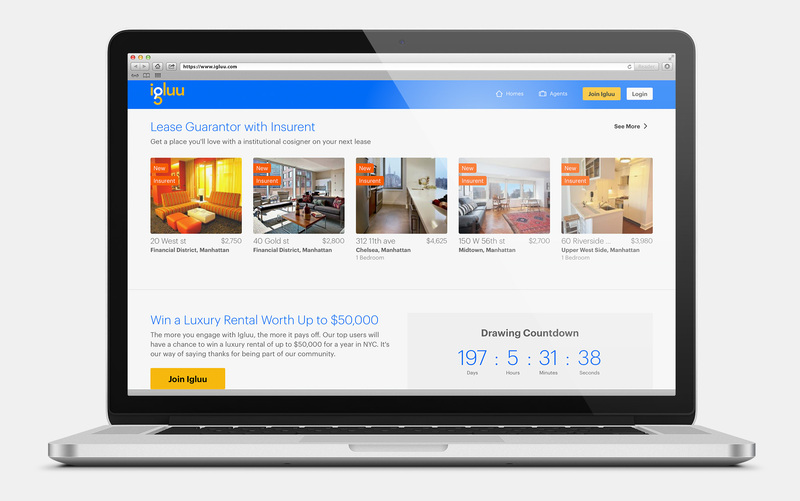 Igluu partner Rhino is a startup that helps solve that problem with deposit-free apartments. Igluu partner Moved offers users free moving concierge service, as well as discounted services on moving from one place to the next. And once you’re in your apartment, you’d be wise to get some renters insurance. That’s where Igluu’s partner Lemonade can help, with low-cost renter’s and homeowner’s insurance. 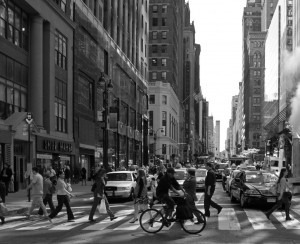 Igluu is dedicated to making the process of finding a place to live in New York easier and more affordable than ever. As part of that effort, Igluu will continue to offer its community of apartment seekers and brokers products, services, and discounts, and ways to share Igluu benefits. As part of Igluu’s launch, the site is running a community-building contest, which will award one person free rent for a whole year in NYC, worth up to $50,000. The Igluu customer with the most points, wins, and points can be gained by inviting new members, and among other ways, through a “treasure hunt” promotion to be announced in the coming months. Entering is as simple as registering for an Igluu account. Click here to sign up and your chance to win!